During the last few weeks of my pregnancy we went to see every single movie that came out. Some we even saw multiple times (Sisters x3 and Hateful Eight x2). We went to the movies like it was going out of style, and for us, it was. We knew it would be impossible to go out to the movies with a newborn. Okay, maybe not impossible, but extremely difficult and we run the risk of ruining the movie-going-experience for ourselves or someone else in the theater and we just can’t do that. (DH is known for making teeny boppers cry for texting during a film.) If you pay to see something on the big screen, you don’t want to be interrupted by chit-chat, texting, or crying babies. I digress. 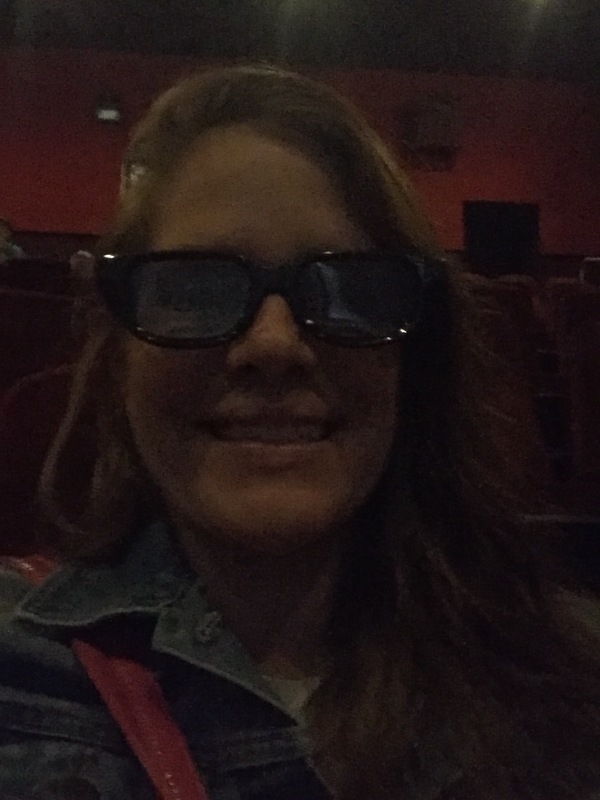 Hi, my name is Mallory, and it has been five months since I was last in a movie theater. Now that I’m getting the hang of this mom thing, I’d like to start going out again. I got a hankering for a movie date a few weekends ago and sprung the idea on DH. He was all for it, but there was a small, 15-pound problem. We didn’t have a babysitter and didn’t think we could get one last minute. Okay, no problem! “Why don’t we go to different movie times and take turns watching the baby?” We don’t talk to each other during a movie anyways, so what does it matter if we see it alone? It sounded a little weird and I wasn’t sure DH would go for it, but I think we both needed to get out. The movie theater is a few miles down the road so DH went to the early showing of Captain America: Civil War and I stayed home and entertained our baby. She was nice and tired when Daddy got home and went right down for a nap. DH handed me the keys and I drove down to the theater. I paid for 1 adult admission and a bag of popcorn then took my seat smack dab in the middle of the theater. Other patrons filed in around me and I started to wonder what they thought of me sitting there all alone: a) is she waiting for her date? b) did her date stand her up? c) is she some weirdo that couldn’t get a date? or d) (the most probable) no one noticed or cared what I was doing. Once the lights dimmed, I stopped caring what others might be thinking, I started to relax, and settled in for the movie. I was childless. I was alone at the theater and I was happy. I was able to enjoy a whole movie without interruptions and at the loudest volume possible. Of course, I missed my little munchkin the whole time I was gone, but Mommy needed a break. After the movie, I hurried home, smooched my baby’s face off, and put her to bed. DH and I stayed up and discussed the movie over our dinner just as we had done after many dates B.C. It was a great date day and we were finally able to incorporate something from our old life into our new. We have done this two more times since and I think we might make it a regular thing. 1) You don’t have to get dressed up for your date – yoga pants, messy bun, no make up – who are you trying to impress? 3) You don’t have to worry about your baby. She is home safe with Daddy. If she cries, he knows how to comfort her. As a new mom, I worry about leaving my baby with sitters for this exact reason. I’m sure they are capable, but I just feel better having Daddy there. 4) You don’t have to make small talk before the film. Text and play on your phone at your leisure until the previews start. 5) Not a lot of planning necessary. Check movie times then go to theater. 7) Though the timing is slightly delayed, you can still enjoy the shared experience of seeing a movie on the big screen together! As of right now, DH and I do not see any cons to movie dating this way. I’d love to hear from other moms, for another round of our MoFoGro: what your dates are like now that you have kids? If you could take a few minutes to complete our survey, I’d really appreciate it.